In 88 Fortunes from Slots baby, there is no limit to how much cash you can ultimately win with each and every spin! 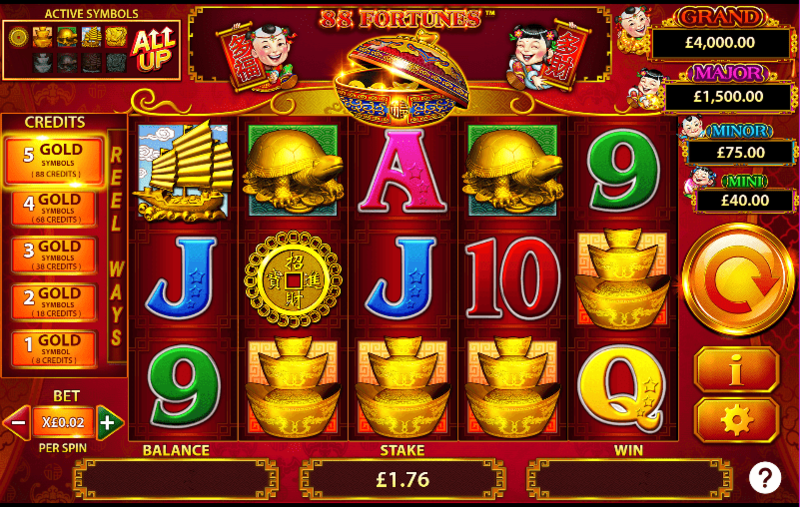 An Eastern flavour for one to try, 88 Fortunes is up there with some of the most popular Chinese themed slots going. Developer Barcrest have done an incredible job in toeing the line between insulting and kosher, as it could have been very easy for this slot to become a stereotype rather than slot that stands on its own two feet. 88 Fortunes is a 5 reel slot, sporting 3 rows with a massive 243 different ways of coming out on top. We feel like there aren’t enough cultural slots out there right now, so when you see a slot such as this one, you get a pretty good idea as to life in other people's shoes. If you wish to learn more about this slot then we highly encourage you to read the rest of the review! A dynasty, developer Barcrest have managed to stay in business for decades now, how they have managed to stay in business comes down to their ability to change with the times, which is one of the main reasons as to why so many developers out there fall from grace. Just so you have an idea on how far back we go with Barcrest, they opened their doors all the way back in 1968, which in online slot years is like a century. Developers that stand the test of time will always be the ones to watch simply because of how dedicated they are at their craft, remember that when making your decision to play or not to play! Free Spins: Matching 3 gong symbols on the reels will grant one free spins in return. Free spins come with additional multipliers that will throw scores even higher than they were meant to go. The more scatters you match the more free spins you will win in turn, remember that. 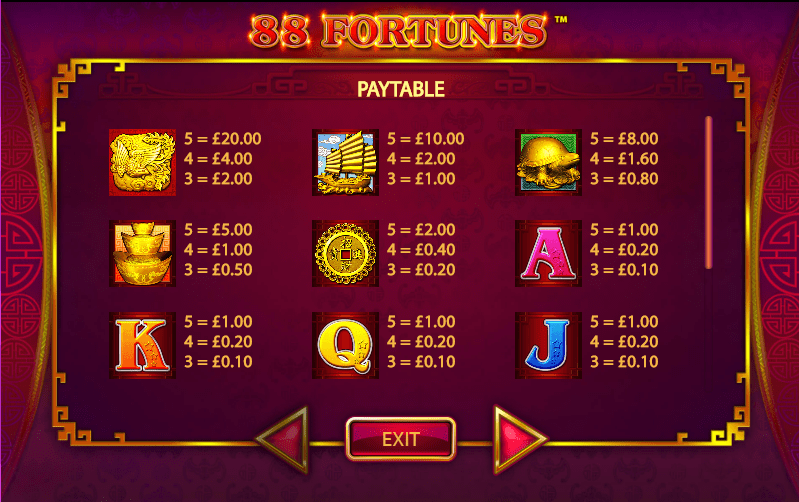 88 Fortunes is a slot that every avid online slot enthusiast should be playing, simply because of how popular it happens to be. Not only that but you get to revel in endless amounts of money, what’s not to love? Play now at slotsbaby.com.